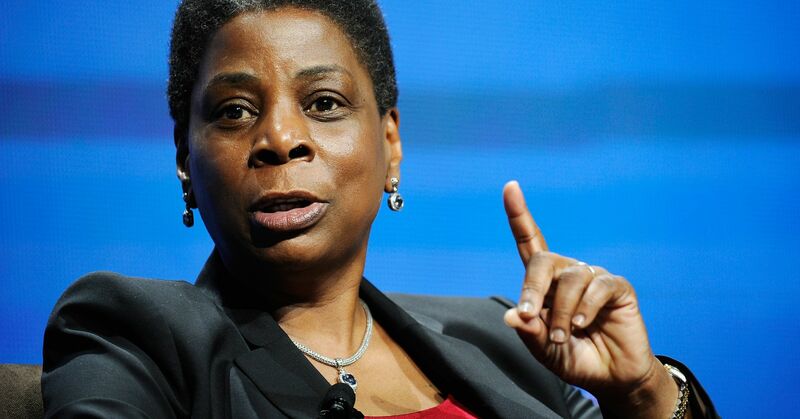 Ms Ursula Burns, former CEO of global information technology giant Xerox, and current Senior Advisor at Teneo, will be sharing her insights into the future of business on Tuesday 25 September when she delivers the second annual Declan Kelly Teneo Leadership Lecture at Queen’s. Taking place in the Isdell Courtyard at Riddel Hall at Queen’s from 5:15pm-7pm, and hosted by the Chief Executives’ Club at Queen’s in association with the University’s Management School, the lecture is entitled: ‘Impatience is a Virtue: CEO’s Driving Opportunity and Access for the Future’. Prior to her current role as Senior Advisor at Teneo Holdings, Ms Burns was the Chair of the Board of the Xerox Corporation from 2010 to 2017 and CEO from 2009 to 2016. During her tenure as CEO, she helped the company transform from a global leader in document technology to the world’s most diversified business services company, serving enterprises and governments of all sizes. She also spearheaded the largest acquisition in Xerox history, the $6.4 billion purchase of Affiliated Computer Services in 2009. Ms Burns, who regularly appears on Fortune’s and Forbes’ list of the world’s most powerful women, is a board director of American Express, Exxon Mobil, Nestlé and Datto. President Barack Obama appointed her to help lead the White House national programme on Science, Technology, Engineering and Math (STEM) from 2009-2016, and she served as chair of the President’s Export Council from 2015-2016 after service as vice chair 2010-2015. Ms Burns also provides leadership counsel to several other communities, educational and non-profit organizations including the Ford Foundation, the Massachusetts Institute of Technology (MIT) Corporation, Cornell Tech Board of Overseers, the New York City Ballet, and the Mayo Clinic among others. She is a member of the National Academy of Engineers and the American Academy of Arts and Sciences. Following her address, Ms Burns will take part in a Q&A session facilitated by Professor Richard English, Pro-Vice-Chancellor for Internationalisation and Engagement at Queen’s. A few tickets remain for the lecture, which is free to attend. For more information and to register attendance please visit the Eventbrite website. The Chief Executives’ Club at Queen’s (CEC) is a prestigious forum that facilitates and supports high-level networking in Northern Ireland. The Club, established to strengthen links between higher education and the business community, is currently celebrating its 25th anniversary. To explore CEC membership or for further information, please contact Robbie McGreer, Business Engagement Officer; tel: +44 (0)28 9097 5188 or visit the Chief Executives’ Club at Queen’s website. Media enquiries to Zara McBrearty, Communications Office at Queen's University Belfast on tel: +44 (0)28 9097 2642.